Giant, Super Realistic Monster Truck Combo! 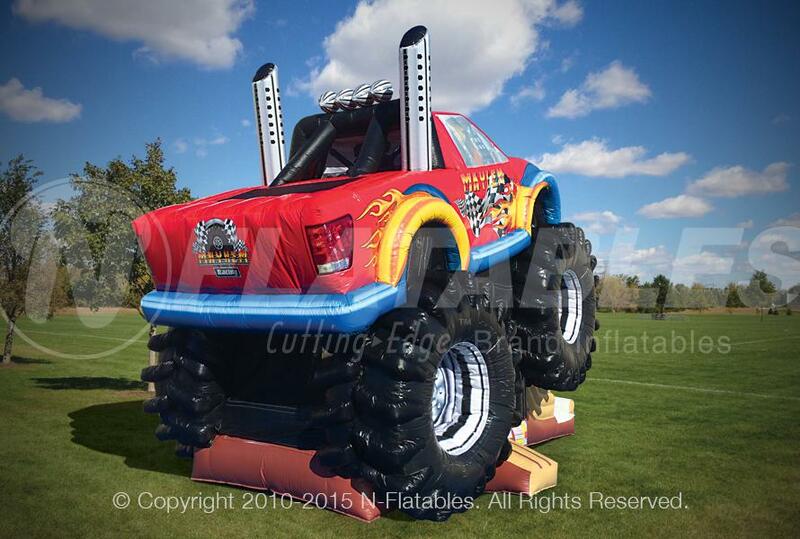 This unit is not like any other inflatable Monster Truck. 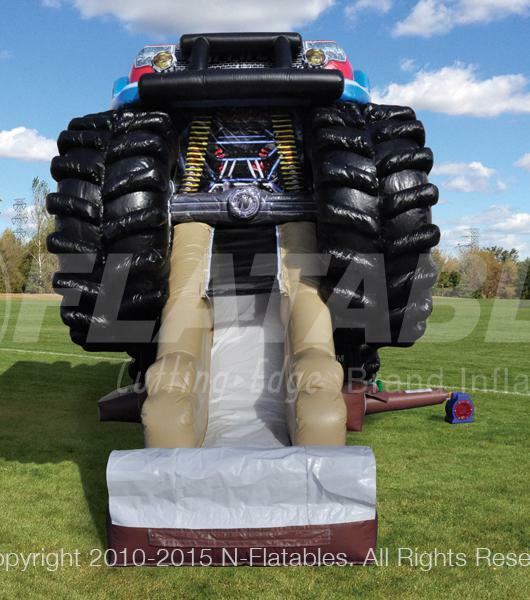 It features vivid digital print, realistic tires, a large bouncing area, a climbing wall, and a slide. 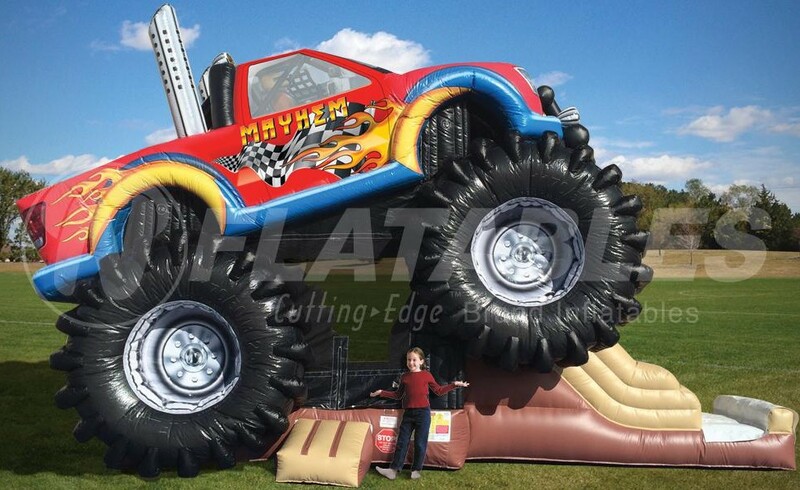 Don't settle for just another bounce house...the Monster Truck Mayhem Combo will help take your party to a whole new level.